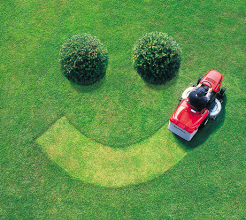 Are you thinking about hiring someone to maintain your lawn? Do the amount of lawn care companies available seem a bit overwhelming? Here are some things to consider to make a more informed and better decision. Do they have insurance? If your lawn care company isn’t insured and there is any type of accident (think something as simple as a rock being thrown from the mower and hitting your neighbor’s car) your home owners’ insurance could be liable, and that could cost you! A professional lawn company will put a high priority on making sure they are fully covered – not only for their protection, but yours too. Do they have good reviews? Finding reviews online can be done in just a few minutes. Facebook and Google are great resources to see what others have to say about the lawn care company you are considering. Ask a neighbor that has used the company what they think. Also, make sure to check out 2-3 companies and ask for a quote from each. You typically have several options to choose from when it comes to lawn care. Making a good decision means you will have more time to spend outside enjoying your beautiful lawn. What do their routine services entail? Before you hire a lawn company, you want to make sure that they meet your expectations of what services will completed on a weekly basis. For example, if you are anticipating your lawn getting fertilized, aerated, and sprayed for weeds as part of your weekly service fee, but the company you are potentially hiring considers those items add-on services, you are bound to be disappointed. Ask questions to avoid confusion later. Package deals aren’t necessarily cheaper either so it is good to get multiple quotes and compare prices. How much experience do they have? If you’re paying for someone else to take care of your lawn you want to make sure it looks nice. A company that has a developed portfolio and experience will almost certainly do a good job on your lawn. You have heard the phrase, “practice makes perfect.” A company that has installed multiple retaining walls, cleaned out gutters hundreds of times, and built many stone walkways will almost always do a better job than a company that has done those things infrequently or not at all. How quickly do they respond to questions/complaints? Asking for quotes from 2-3 companies can give you a glimpse of how quickly a lawn care company will respond. Due to keeping their current customers satisfied, they may not be able to run out immediately when you request a quote, but they should respond within a few business days and in a professional manner. Ask them what their procedure is for dealing with customer questions? What if you have a complaint? How will they handle it? An experienced lawn care company will be able to give you a clear explanation of their process.